Good day blogger peeps. I am sharing the full card which was published in the Craft Stamper September issue, this card is not yet posted anywhere online, since the magazine is out, I can share it now! It is a one layer card, I used various distress inks to sponge the maple leaves, I had used a hand cut maple leaf stencil for this. Once I was happy with the sponging, I used Uniko Studio - sentiment, and the background builders to stamp the pines cones and tiny pine leaves i the sentiment. A few jewels to finish off. That' all, I am very happy to see it published as my first card. Superb blending on your leaves, very autumnal. Congrats on having it published in the magazine and thanks for sharing at AAA Cards. Congrats Rahmat!! LOVING the card and ink blending! Fabulous fall card! thanks for sharing with us at AAA Cards! oh, so gorgeous! You've gotten me in the mood for Autumn! 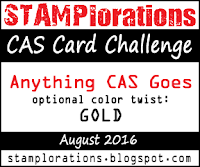 thanks for joining us at Stamplorations CAS! Beautiful blending on the leaves. 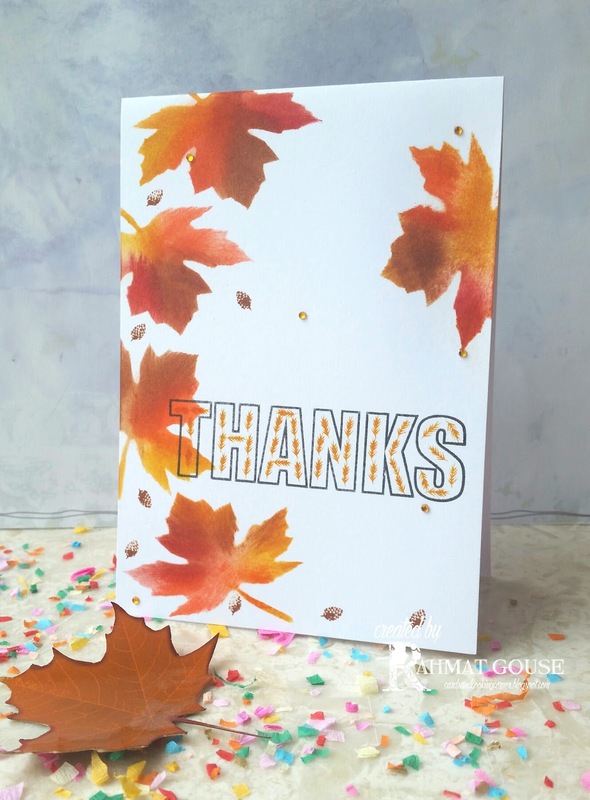 Really striking Autumnal card. Your card caught my eye at AAA cards - absolutely stunning! And congratulations! Super cute!!! Love the CAS look of your card! 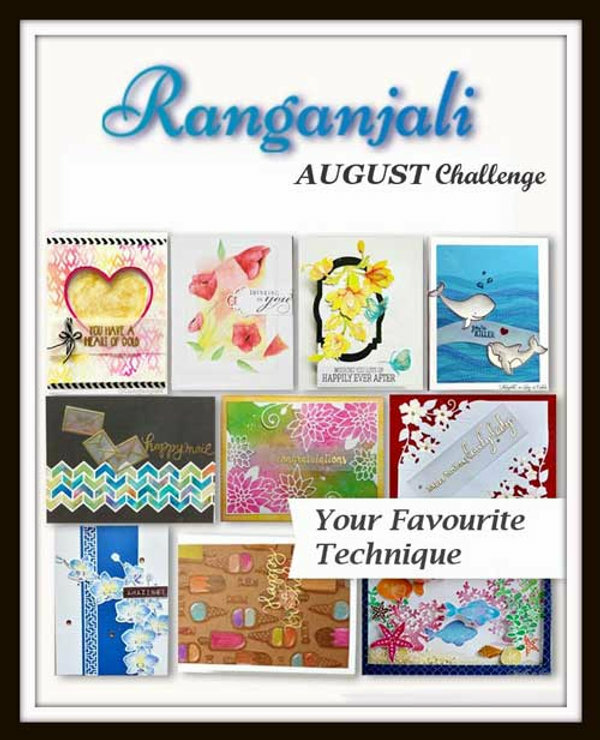 Thank you for joining us at Love To Scrap Challenge Blog, good luck!! !